I'm a big fan of wooden children's toys, they just always seem more robust and clean if you know what I mean. I also love Sushi! 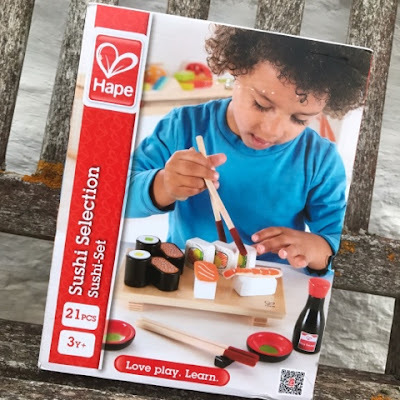 A bit strange I hear you say however did you know that the lovely children's brand Hape have a super cute wooden Sushi selection set for kids! It's honestly totally amazing and Harlow was lucky enough to be sent one to review. So who are Hape? 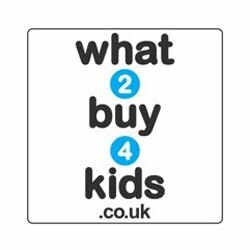 "Hape Toys is one of the world’s largest producers of toys made from sustainable materials. Hape toys are both creatively designed and eco-friendly. Neither culture, nor language, nor gender inhibits the intuitive process of play. All of the products meet, and more often, exceed the strictest international standards for quality and safety. But behind the innovative designs and meticulous quality lies the even stronger ethos of Hape." 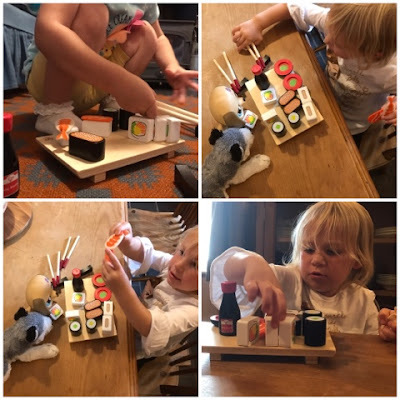 Harlow was super thrilled when she spotted her sushi set and couldn't wait to get stuck in. Each sushi set has 21 pieces altogether and is suitable for ages 3 years and over. 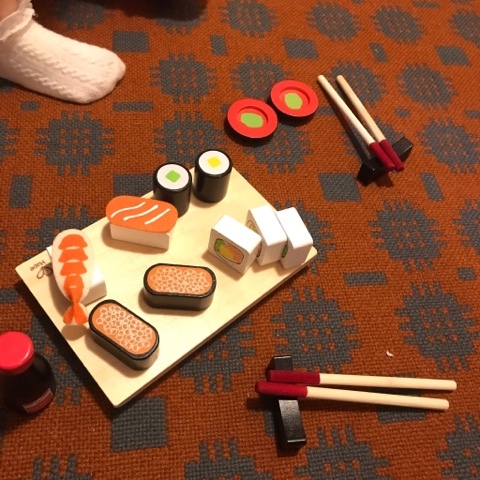 Included in the box is; 1 x serving plate 4 x Chopsticks 2 x ChopSticks stand 2 x plates 1 x Sauce 2 x round sushi 2 x red caviar Sushi 2 x sushi rice 1 x sashimi 1 x shrimp sushi 3 x Square Sushi. It really is the cutest little wooden toy set I've ever seen. My toddler can be quite demanding *cough* hash bash when it comes to her toys but these beauties from Hape have stood up to the test. She's played with these daily for weeks now and they're still like new. 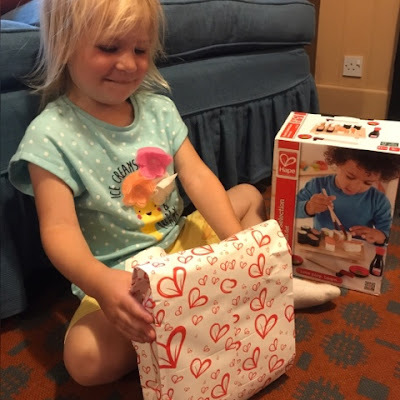 Well done Hape for making such a robust toy. I love that this set can introduce children to a different kind of food and also hints at sharing with two pairs of chopstick for your little one to enjoy with a friend. It definitely sparks imagination and encourages role play for young minds. Harlow really loves this set and will happily play with it on her own with her dolls or sometimes she'll come and grab myself or her Daddy to play with. She's always in charge of course and likes to boss us around. This set is made from FSC-certified wood and retails for £19.99 on Amazon. It would really make a great gift as it's so unusual or why not buy it now and save for Christmas! I've been buying a few bits and pieces and storing them away so always worth a thought. 0 comments on "Review: Hape Toys Sushi Selection"